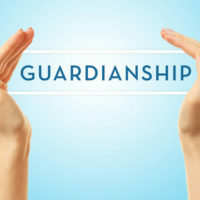 What Are the Rules for Establishing a Florida Guardianship? Florida guardianship cases must follow certain rules spelled out in state law. After all, when a guardianship is established, the subject loses certain legal rights, including the ability to make basic choices about their finances and living arrangements. It is therefore critical that the parties to a guardianship proceeding ensure the subject receives due process. Section 744.331 of the Florida Statutes governs “procedures to determine incapacity,” i.e., to establish that a guardianship is necessary. Anyone, often a family member, may file a petition for the appointment of a guardian for another person. By law, once a petition is filed, the probate court will appoint an attorney–known as an elisor–to represent the subject’s interests. The elisor’s role is limited to protecting the due process rights of the subject; the elisor cannot serve as the guardian, if one is deemed necessary. In addition to the elisor, the court must also name a three-member “examining committee” composed of medical professionals to examine the hearing subject and provide the court with a report on their physical and mental condition. There are statutory time limits for this process. The committee must be named within 5 days of the filing of the petition, and each member must file his or her report within 15 days of appointment. Confusion over adherence to these deadlines may lead to extended guardianship litigation. Consider this recent case from Miami-Dade County. In December 2015, the petitioner in this case sought the appointment of a guardian for his adult brother–identified in court records only as M.S.–due to his “comprehension disabilities.” Although M.S. previously signed a [power of attorney] giving multiple relatives the legal authority to act on his behalf, the petitioner said it would be better for a professional guardian, rather than a family member, to protect his brother’s interests. Following Section 744.331, the probate court named an elisor for M.S. and set a hearing date. But several days later another attorney appeared seeking to represent M.S. as “private” counsel with his authorization. While unusual, the judge allowed the private attorney to substitute for the court-appointed elisor. The private attorney then sought dismissal of the guardianship petition, alleging violations of M.S.’ due process rights. Specifically, the attorney said the elisor had failed to “read the petition” and hearing notice to M.S., as required by law, and that the examining committee failed to file their reports within the 15-day window. The petitioner objected, but the judge opted to dismiss the case without giving the family an opportunity to amend or refile. A divided three-judge panel of the Florida Third District Court of Appeal reversed, the majority holding the probate judge acted too rashly. The “unusual record” of this case illustrated that the due process rights of M.S. were not adversely affected to the point where the petitioner could not refile. Do You Need Advice From a Florida Guardianship Lawyer? But as even the probate judge noted in the case above, it would have been preferable for the family of M.S. to try and work out an arrangement outside of court. Unfortunately, there are cases where that may not be possible. If you find yourself in a situation where you think a parent, sibling, or child may lack the capacity to care for themselves and need to speak with a qualified Fort Myers guardianship litigation attorney, contact the Kuhn Law Firm, P.A., today at 239-333-4529. Sarfaty v. In Re: M.S., Florida Third District Court of Appeal, Nov. 1, 2017.